Visiting Florence with her prim and proper cousin Charlotte as a chaperone, Lucy Honeychurch meets the unconventional, lower-class Mr. Emerson and his son, George. Upon her return to England, Lucy becomes engaged to the supercilious Cecil Vyse, but she finds herself increasingly torn between the expectations of the world in which she moves and the passionate yearnings of her heart. More than a love story, A Room with a View (1908) is a penetrating social comedy and a brilliant study of contrasts - in values, social class, and cultural perspectives - and the ingenuity of fate. In her illuminating introduction, Forster biographer Wendy Moffat delves into the little-known details of his life before and during the writing of A Room with a View, and explores the way the enigmatic author’s queer eye found comedy in the clash between English manners and the unsettling modern world, encouraging his reader to recognize and overcome their prejudice through humor. This edition also contains new suggestions for further reading by Moffat and explanatory notes by Malcolm Bradbury. E. M. Forster was born in late-Victorian London in 1879 and died in 1970. Educated at King’s College, Cambridge, Forster made his name as a writer before the First World War, publishing four well- received novels: Where Angels Fear to Tread (1905), The Longest Journey (1907), A Room with a View (1908), Howards End (1910) and a collection of short stories, The Celestial Omnibus (1911). For almost fifty years after A Passage to India (1924), Forster ceased publishing fiction. A public intellectual and pungent social critic, Forster championed liberal beliefs, protesting fascism, the British occupation of Egypt and India, communism, Cold War militarism, censorship, anti-Semitism, and racism. His advocacy took many forms. Forster was a pioneer on the BBC’s India Service and published influential nonfiction, including Two Cheers for Democracy (1951) and Aspects of the Novel (1927). He experimented with travel writing and biography, and (with Eric Crozier) wrote the libretto for Benjamin Britten’s opera Billy Budd (1951). Since the posthumous publication of Maurice (written in 1914, published in 1971) and The Life to Come and Other Stories (1972), Forster has been rediscovered and reappraised as a prophetic writer of queer fiction. Wendy Moffat is a biographer, critic, and teacher. A graduate of Yale University, she is a professor of English and Curley Chair in Global Education at Dickinson College in Pennsylvania. 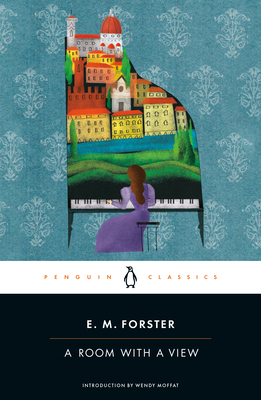 Her biography of E. M. Forster, published in the United States as A Great Unrecorded History: A New Life of E. M. Forster and in the United Kingdom as E. M. Forster: A New Life was selected as a book of the year by the New York Times, the Telegraph (UK), the Spectator (London), and the Time (London), and won the Biographer’s Club Prize in 2010. Malcolm Bradbury was a novelist, critic, television dramatist, and professor of American studies at the University of East Anglia, where he cofounded the first and most prestigious master’s program in creative writing in the United Kingdom. Some of his novels include Eating People Is Wrong, The History Man, and To the Hermitage. He also wrote a number of critical works, humor and satire, and adapted Kingsley Amis’s The Green Man and Stella Gibbons’s Cold Comfort Farm for television. He was knighted in 2000 and died in November of the same year.